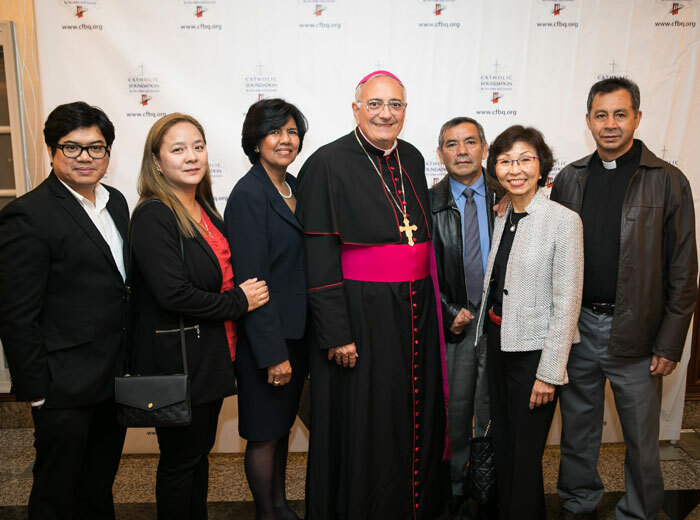 Bishop Nicholas DiMarzio congratulates the Generations of Faith team from St. Michael’s parish, Flushing. 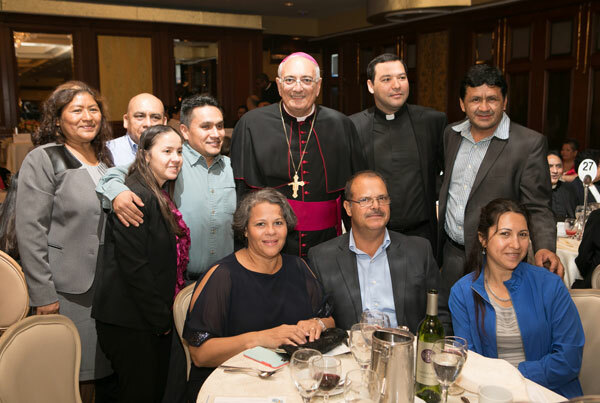 Over 600 parishioners from more than 50 Block 2 and Block 3 parishes attended the Generations of Faith Parish Team Celebration on Oct. 6, at Russo’s on the Bay, Howard Beach. The event publicly acknowledged the dedication and efforts of pastors and campaign teams who worked on the initiative throughout the last year. Generations of Faith is the diocese’s capital campaign to fund youth evangelization, care for senior priests and local parish priorities. Bishop Nicholas DiMarzio and Msgr. Jamie J. Gigantiello, vicar for development, attended the event to personally thank the parishioners and pastors who have dedicated so much of their time. “You are the Church,” Bishop Nicholas DiMarzio said to all of those in attendance. “Your ancestors have made the church of the past and now your generation helps the next. The Generations of Faith campaign launched in April 2015 and invited more than 1.5 million Catholics in the diocese to participate, and is set to conclude later this year. The campaign funds will be used to strengthen 186 parishes of Brooklyn and Queens, care for senior priests and launch a comprehensive youth evangelization program. For more information, please visit www.cfbq.org/generations. Bishop DiMarzio with the team from St. Joseph Patron parish, Bushwick.